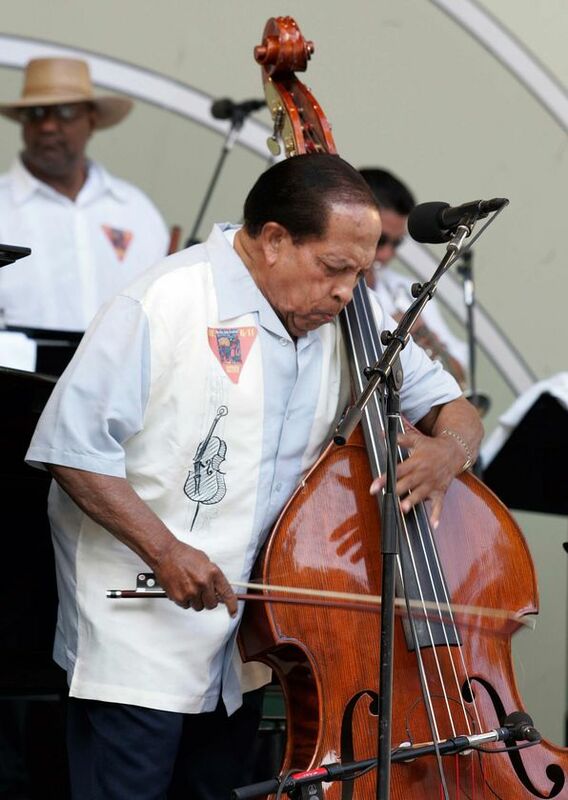 Were this a more just planet-one in which musical tastes were less segregated-this world would better weigh the passing of its brilliant son, Israel “Cachao” Lopez, the father of the “mambo”, descarga y mucho mucho mas. This world would inhale for a moment of silence before taking another moment to syncopate the silence with the sounds of Cachao’s profound musical legacy, a legacy with more children than he could ever count-and still growing; Were this world less color-conscious and more musically enlightened, the spell-check on this or any other software program would recognize the word “Cachao” in the same way that it recognizes words like “Beethoven” or “Miles”. With his intensity, creativity, he and his beloved wooden bajo (bass) have done their part to inspire the kinds of revolutions that alter musical destinies and software programs. His time, our time approaches. I for one, am very sad at the passing of one who was for many like a musical Babalao, a high priest, a great teacher, the keeper of the ancient knowledge that defines us. Cachao now lives in that Pentheon of musicos who power my own madness from the asylum of the Great Beyond, better known as “El Mas Alla”. Yet, I also celebrate the privilege of having seen Cachao and listened to and danced to his music, music that future generations Of Américans will come to respect and enjoy as we continue the work of making this a more just world. If you’d like to hear some of the background music of the movement that has and will continue to alter the course of this soon-to-be-less unjust world, check out Cachao’s website. As much as I love the lyricism and life of words, no literary muse can substitute the main Muse that whispered in Cachao’s big, brown ears. Y con todo nuestro respeto te damos muchisimas gracias, michisimas.